Sunday was my daughter, Courtny’s birthday and we were headed to the late afternoon NY Giants home game. 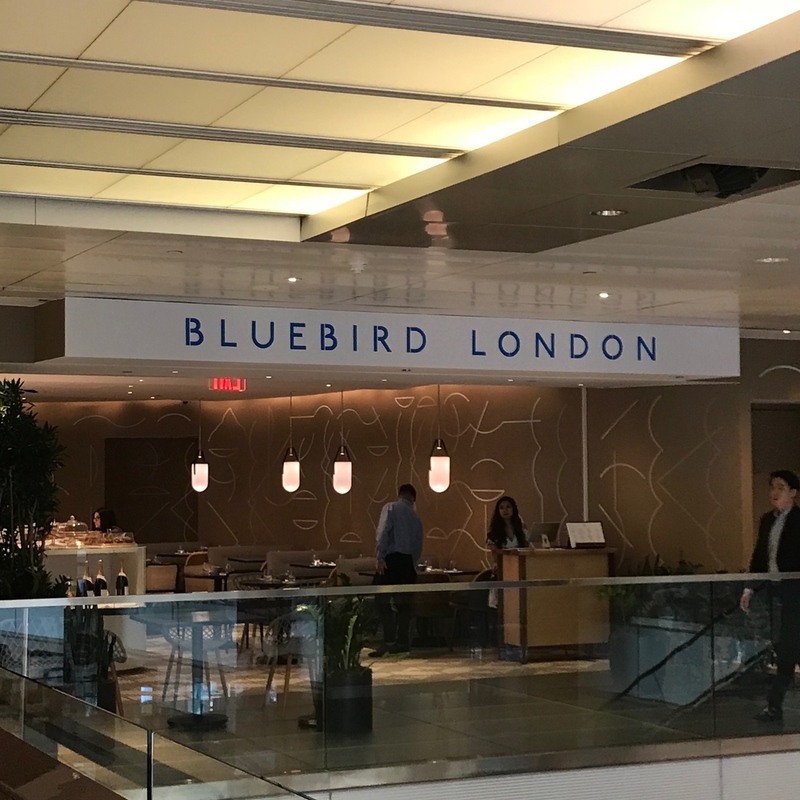 Bluebird London in New York, just this minute opened up in the Shops At Columbus Circle. 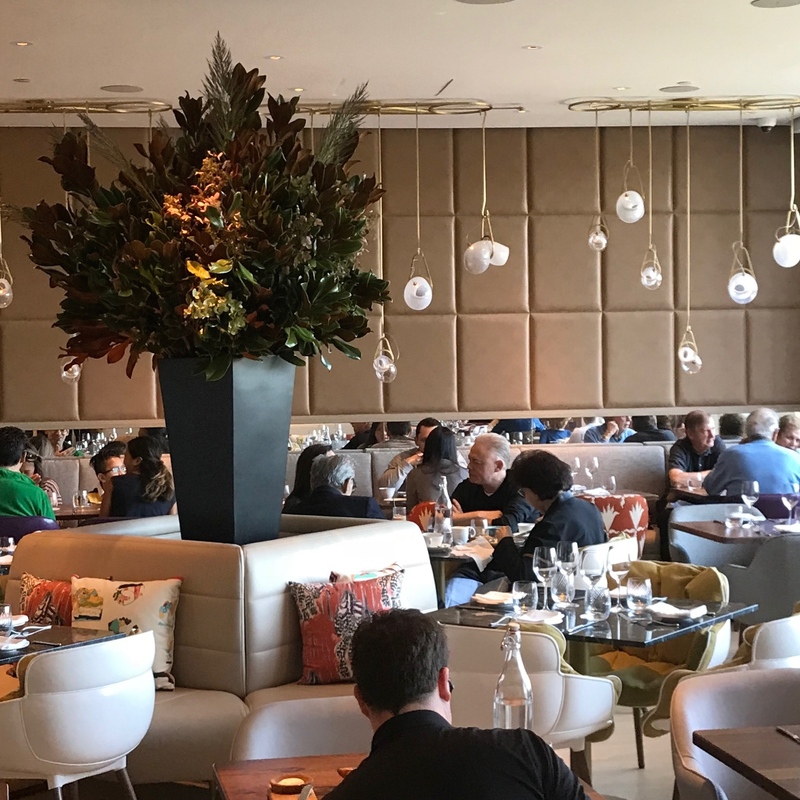 Bluebird London spans over 10,000 sq. 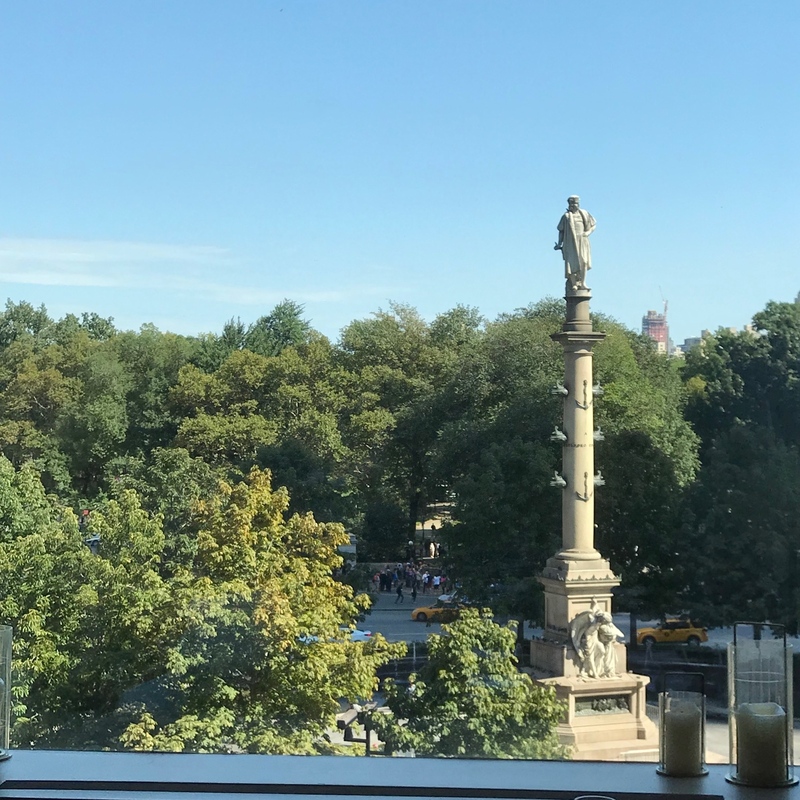 ft. on the third floor of the Time Warner Building and features breathtaking views of Central Park. We had dined at Birdbird Chelsea in London, located on Kings Road, year’s ago so let’s go. The place has been completely redone since its’ days as A Voce. 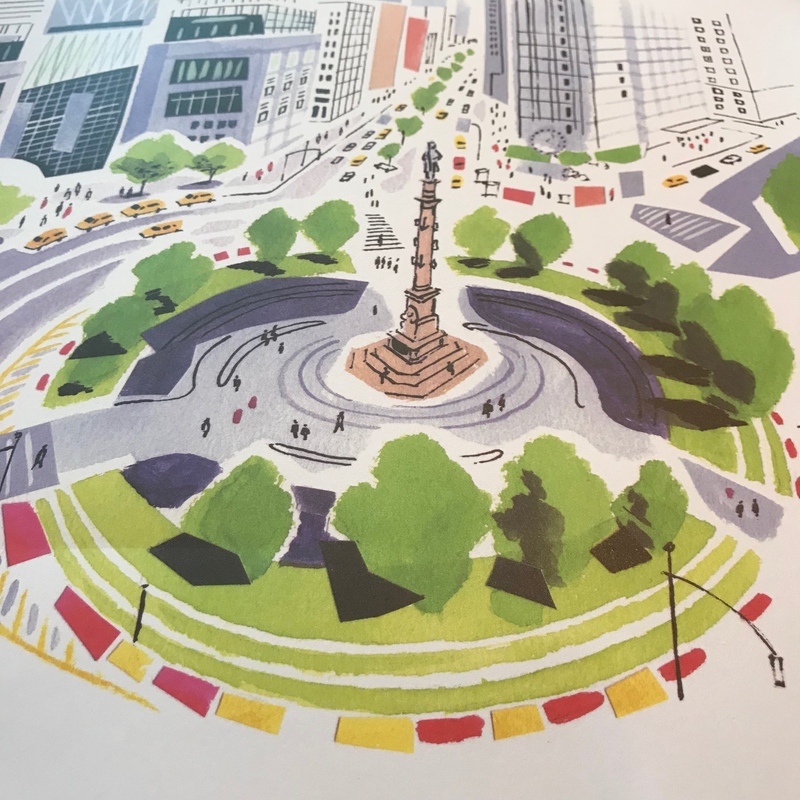 They tore it down to the studs and besides the large windows looking out on Central Park everything is brand spanking new. We sauntered up to the host stand and we were barely greeted, initially asked my last name 4 times and told we did not have a reservation despite the fact I had called Saturday night to confirm the reservation and reinforce the request for a window seat and a birthday dessert…all set, thank you very much. Well, the dolt that seated us (maybe she was stressed because no one was in the restaurant yet) gave us nothing that was requested. Our server was very nice, but quiet and demure. The menu was self explanatory, but we did discover that the smoked salmon was the same as the Queen consumes at Buckingham Palace. 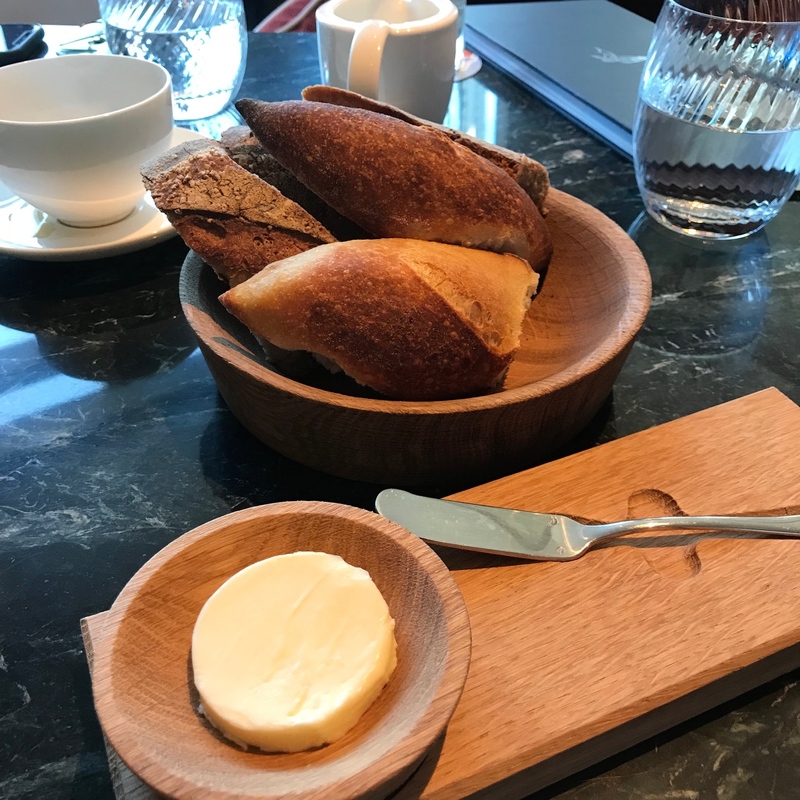 Bread and butter were presented and it was very good. I chose the H. Forman & Son London Cure Smoked Salmon Tartine that arrived on a plate that I think I made at summer camp with absolutely nothing else on the large blue platter even though the menu stated that it came with avocado, horseradish, sour cream and shiso cress ($21). 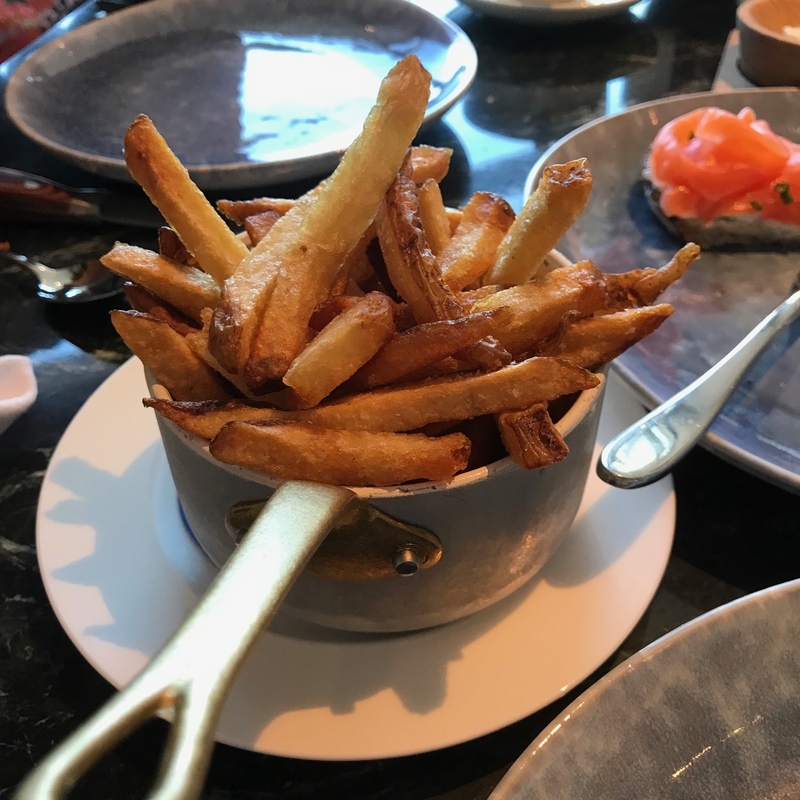 Soon after, a small pot appeared with cold, overly salty fries…yum. 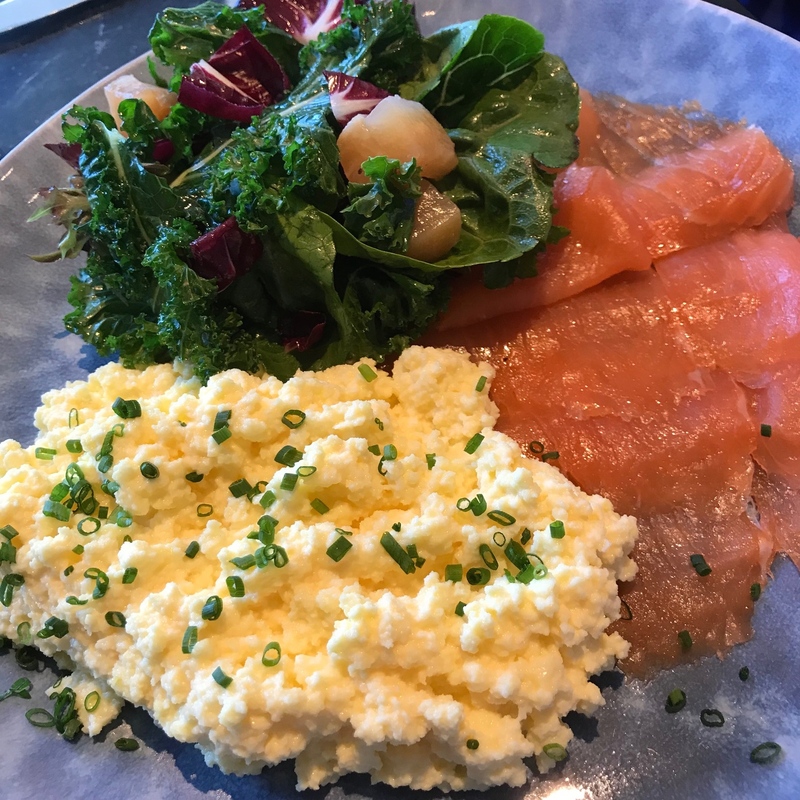 Courtny’s Smoked Salmon with scrambled eggs were cold. She requested a small salad in place of the toast, but the server had to check with the kitchen to see if that was a possibility…seriously?! It’s her birthday, give her a damn lettuce leaf ($24). The eggs were redone and Courtny said my egg preparation is much better. 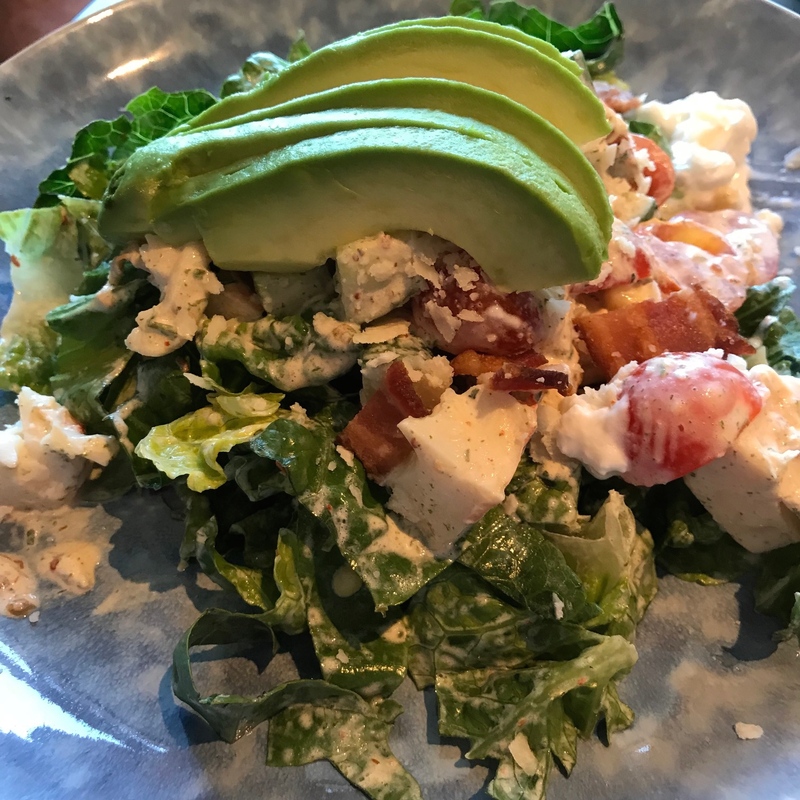 David selected the Lobster Cobb with romaine, cucumber, cottage cheese, bacon and parmesan. The lobster meat was drenched in a tarragon and sour cream dressing. He was satisfied. I thought it was awful ($24). And then Sam, the manager rode in to save the day. He was elegant, generous of spirit and incredibly accommodating. 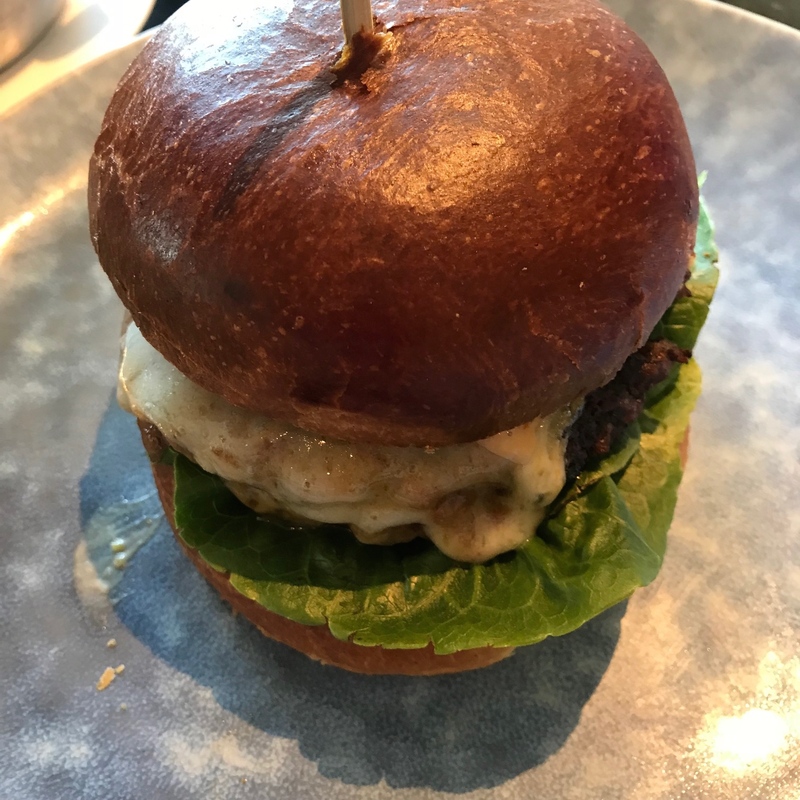 He comped the meal and then brought me a truly delicious Cheeseburger with Montgomery cheddar, gem lettuce, red onion, house sauce and a pickle ($19). Two sides of hot, crispy French Fries were delivered to the table. It is an aesthetically pleasing spot and I assume Bluebird London will quickly work out the kinks. 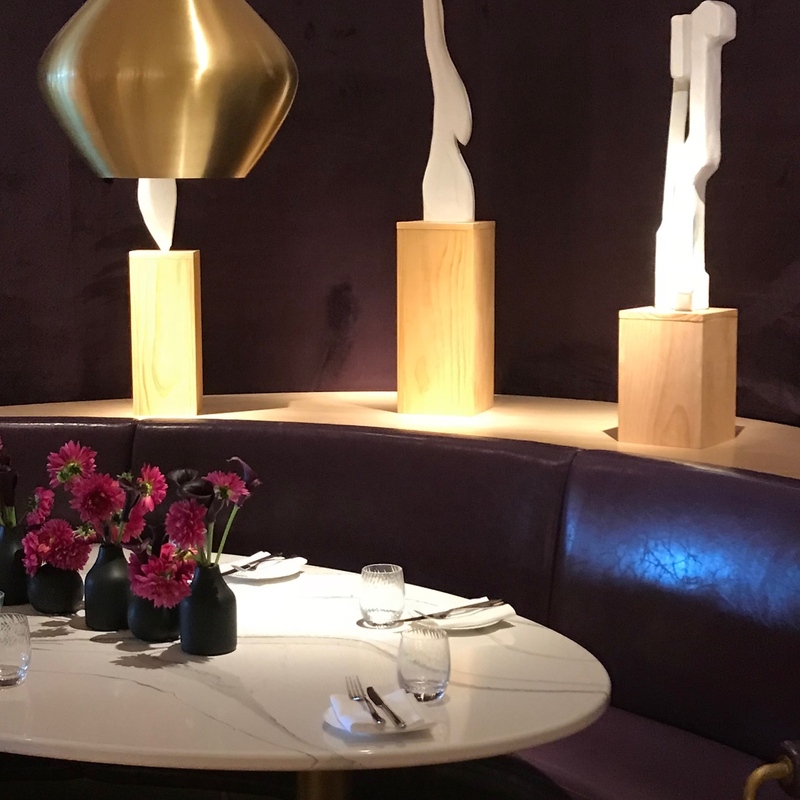 Des Gunewardena and David Loewi, co-founders of the renown British restaurant group, D&D, which operate more than 40 restaurants and hotels worldwide, are behind Bluebird London and have plans to open another NYC location at Hudson Yards. A shout out to Sam for saving the day. Unfortunately, brunch was a precursor to a dreadful NY Giants game, but the family enjoyed the day and Courtny had a fabulous birthday weekend with friends and family. 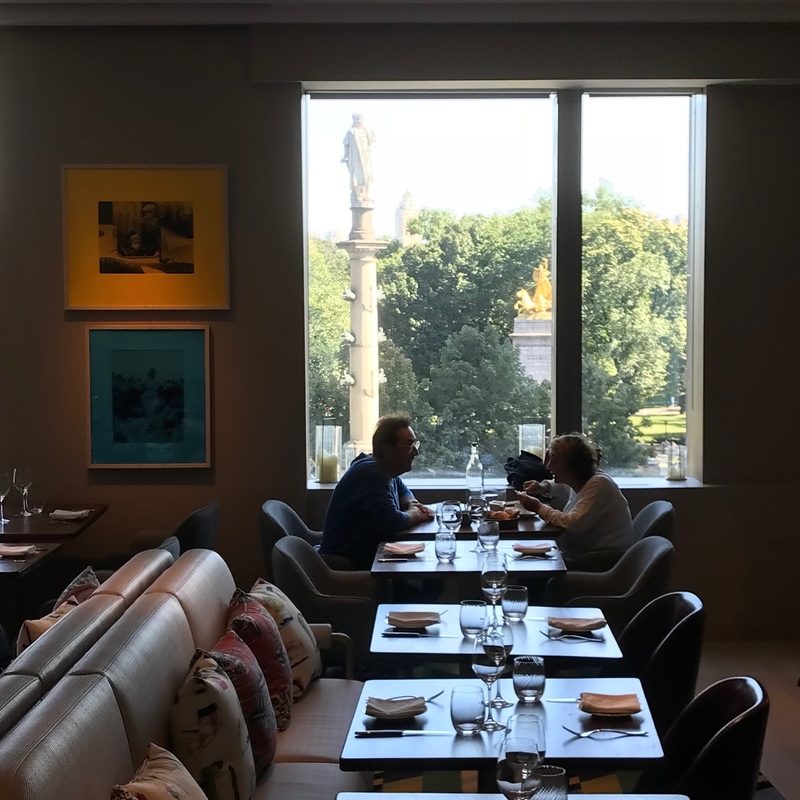 Bluebird London 10 Columbus Circle at 58th Street, 3rd Floor, New York, NY. Open Monday-Friday 8am-11pm, Saturday and Sunday 9am-11pm. Reservations on OpenTable.com.